Shoestring Elegance: 16 Quick and Easy Ways to Decorate for Fall! None of these are brain surgery, so jump in and doll up your house and let the Autumn celebrations begin! Just look at this adorable display of Chalk Painted Pumpkins! How fun and festive are they?! Do you have a few power tools? 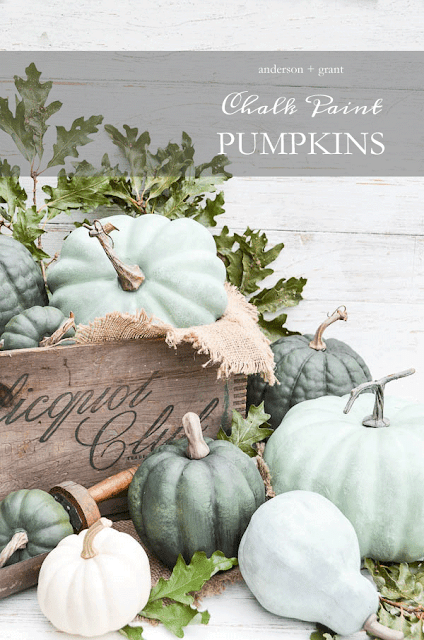 If you do, you should give these cute Rustic Wooden Pumpkins a try! How nice in your entryway! 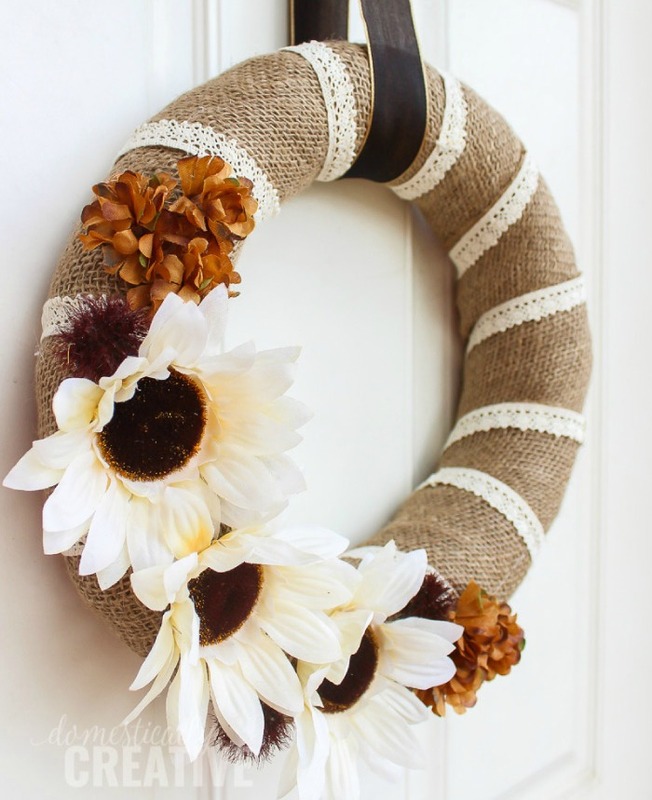 Sick of Fall Wreaths ( I can't imagine that, myself) but look at this awesome front door decor as an alternative. 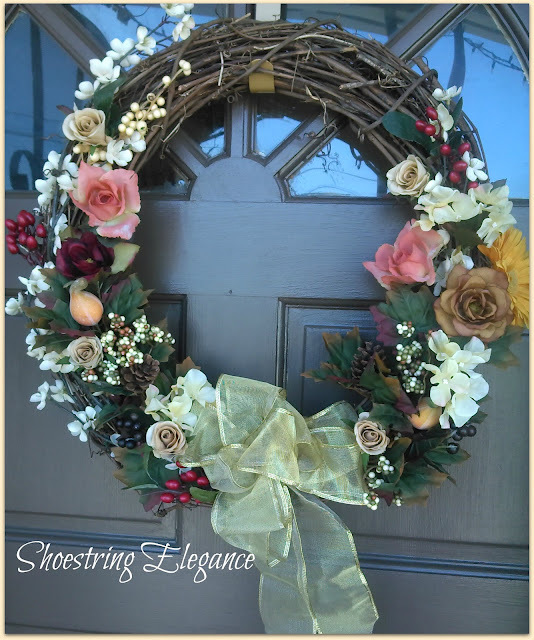 Did you think ever of an Antiques Frame for Fall Wreath? Looks pretty cute and festive! Okay, so maybe you still like the more traditional styled Wreath....here's one of mine that I filed under Autumn Love What can I say?! I'm a nut that way! DIY Dried Orange Garland can you imagine the yummy smells?! What about a little more elegant Pumpkin Decor with a beautiful 10 minute Fall Decor like this?! 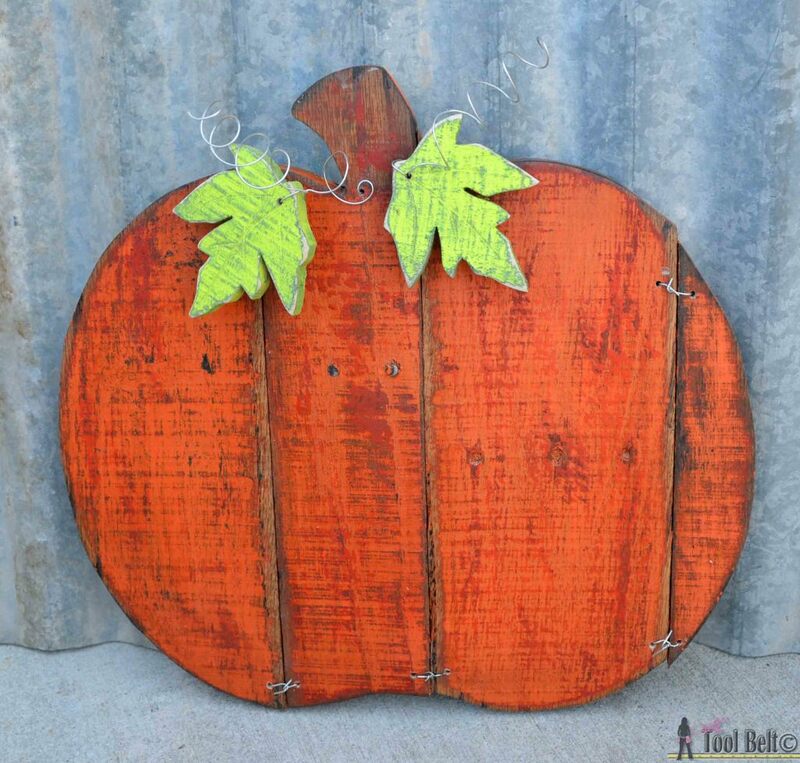 Get those tools out again, but not for long, because you can duplicate this fun Rustic Pallet Pumpkin in no time. TOO Stinkin cute! 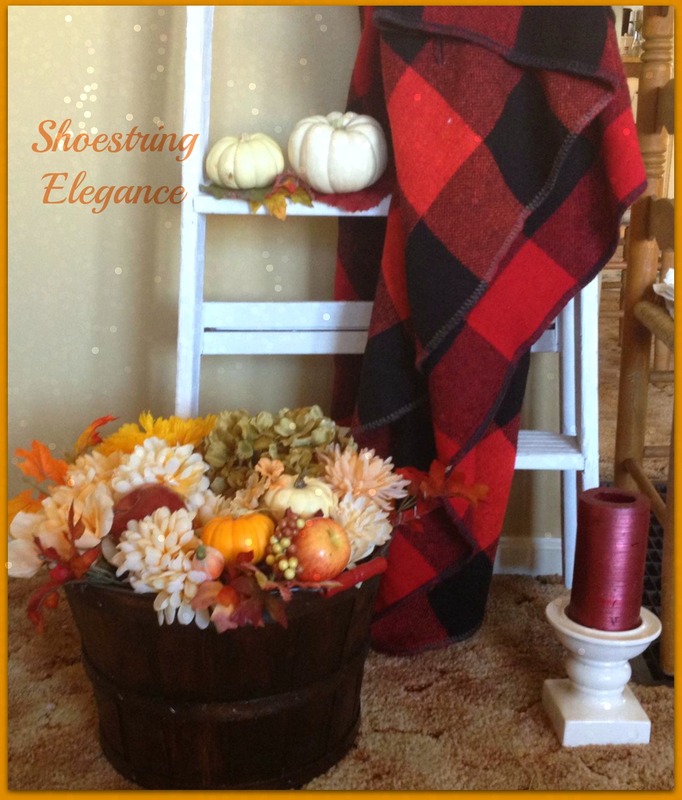 Transform a Fall Basket into a Beautiful Harvest Bushel! 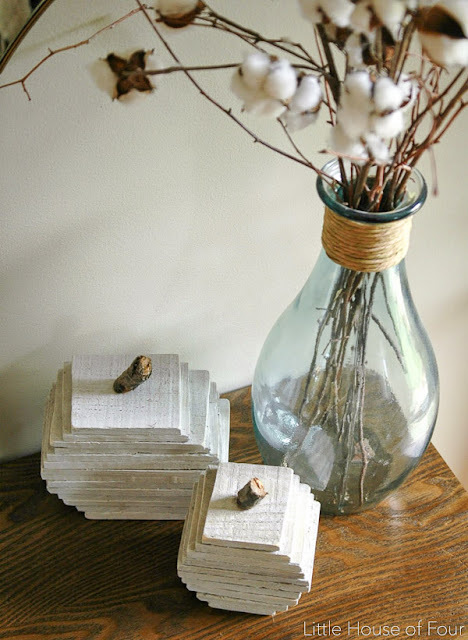 Spend a little time and learn How To Make a Custom Burlap Sign Big Pay-off! Farmhouse Style Porch Decor I love the sign, too! 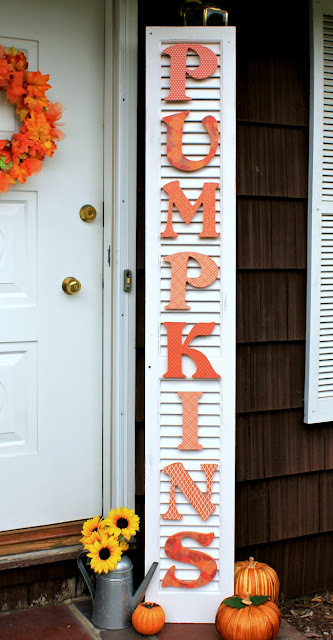 Making A Shutter Pumpkin Sign? Very festive and certainly welcoming! Want a different take on your front door?! How about a Burlap and Lace Fall Wreath? Okay, so now you have all these awesome projects in your head. Go Create something Unique to Welcome Fall into your home! I hope you enjoyed this as much as I did! Special thanks to all the wonderfully talented bloggers out there that let me share their wonderful Projects with you! Thank you, Linda! Isn't it amazing?! Happy Fall, my friend. Love all of your fall round-ups. 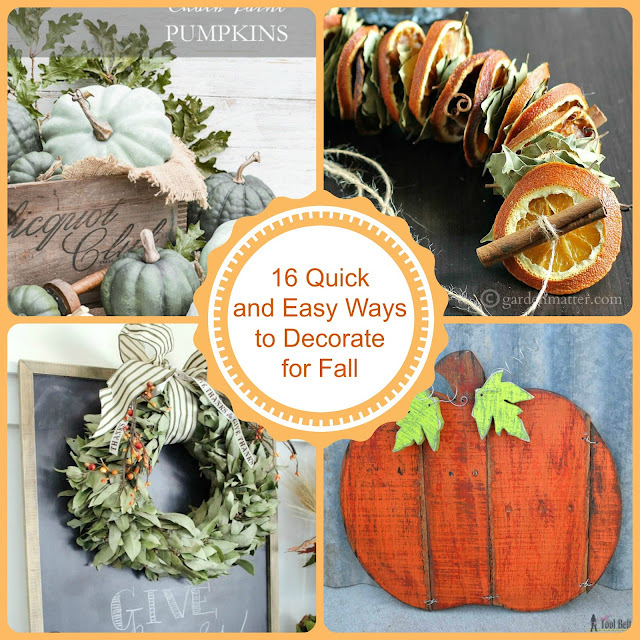 So many great ways to decorate for fall. Me, too, Bev! This was my first, but I definitely think I'll be doing it again! Thanks, Vanessa! I'm having a hard time picking a favorite too! Theresa! Cute workable ideas! Love them! Thanks for sharing at Dishing It & Digging It! :) Hope to see more of your creativity! Thanks so much, Lori! I'm back at it now, so I hope to be sharing more with you, as well! 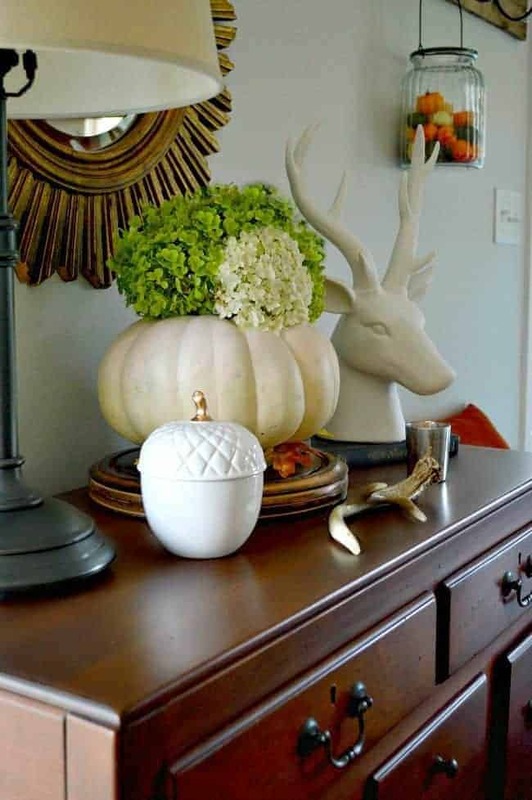 Love all the great inspiration and ideas for fall decorating. I am also ready for fall. Aren't they awesome, Jenny?! I'm so glad you enjoyed them too! How do all you bloggers keep coming up with something just little different every year? Love it, but keep seeing more and more, change my mind about what I want to make every new post I read. Can only do so much as hubs gets testy with too much going on with Fall decorating, had to wait til last week to do any. So appreciate all these wonderful parties and blog hops where everybody's contribution is all in one place, makes it lot easier to find. What a wonderful collection of Fall Projects. 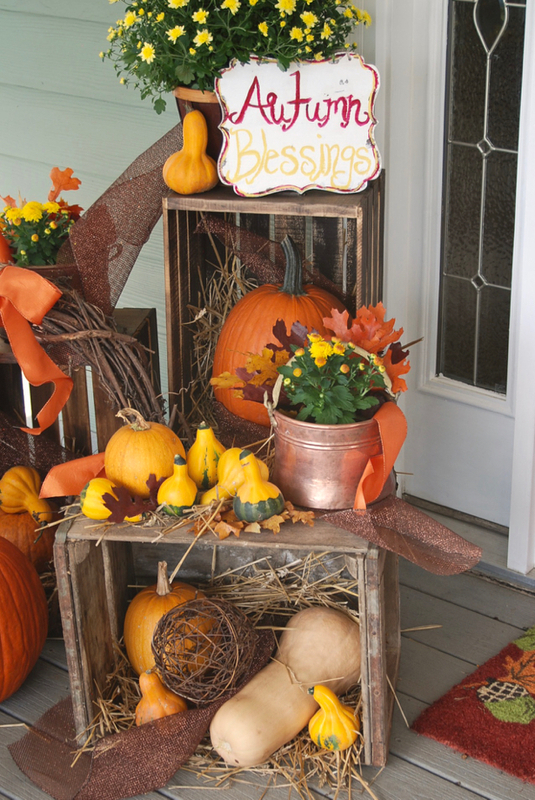 Thank you so much for including our Easy & Elegant Outdoor Fall Decor! All lovely, lovely ideas! Thanks! Especially love to do orange slices and cinnamon for fragrance and beauty! I'm so glad you liked them. I love the orange and cinnamon too! My most favorite of all is just PERFECTION- The fall foyer display beside the staircase P.E.R.F.E.C.T..